While we've had our laughs stateside at Germany's unbelievable 7-1 rout of Brazil in the World Cup semifinal yesterday, but the reaction abroad has been understandably a bit more extreme. While we've had our laughs stateside at Germany's unbelievable 7-1 rout of Brazil in the World Cup semifinal yesterday, but the reaction abroad has been understandably a bit more extreme. German media, as you could expect, is having an absolute field day. Meanwhile, Brazilian outlets are reporting that they're very sorry for the loss of your close relative, and their consolation order from 1-800-FLOWERS should be arriving shortly. Which German periodical came up with the best pun? Which Brazilian cover embraced the darkness? Here's our breakdown of the best, worst and weirdest global media reactions. The German tabloid has been going crazy in their frequently updated live blog, but their cover is the first time they found themselves ohne worte, or "without words." Instead, they allow twice-scoring Toni Kroos' exuberant face do the talking as he jumps into the arms of fellow scorer Sami Khedira. The 7:1 notation at the top has already become something of an emblem for the periodical, as if just the numbers will go down as the historical marker for this game. Also note the conveniently placed McDonald's ad in the top left corner! Because every victory deserves a McFlurry. We know that soccer isn't as big a deal in the USA as it is elsewhere. Yes, we were a little upset when we lost to Belgium, but we got over it fairly quickly. If Brazilian publication Metro is any indication, however, the South American country may never live down this defeat. 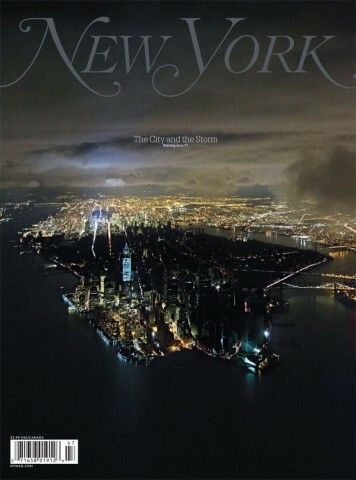 The almost completely black cover, with only a few dim stadium lights and the final score at the bottom, recalls iconic covers from The New Yorker post-9/11 and New York Magazine post-Hurricane Sandy. Those, of course, were national tragedies, while Brazil lost a soccer match. We don't mean to undersell the importance of this game to the country – Brazil spent billions of dollars to host this Cup, and were so hoping for a sixth title on home soil – but maybe someone can go in and take away Brazil's Jagged Little Pill CD before things get any darker? If Metro took the game reaction to its darkest place, Neue Westfälische easily took it to its happiest. Their headline, "Das Wunder von Belo," is a reference to "Das Wunder von Bern," the historic 1954 World Cup Germanic victory over Hungary. That nickname refers to the Cup's location that – Bern, Switzerland – while update references Belo Horizonte, the city where the teams played yesterday. Unlike Bild, Neue Westfälische allows some other news to creep onto the front page, but Kroos looks potentially even more adorably exuberant in this photo. Though Brazilian newspaper Zero Hora didn't conjure up the memories of much darker days, they made their point clear with Fernandinho trapped inside the goal netting. Including the photos of the disappointed spectators below is a nice touch, though points for avoiding the obvious and putting the crying child on the cover. The cover text, roughly translated from Portuguese, slams the team with "sham[ing] fans forever" and featuring "players marked by failure and humiliation." Fiasco indeed.